… a look at history shows us clearly that nations prosper by trading across their borders. This has be true – whether it was the UK in the 19th century, the US, Japan and Germany in the 20th or China and, increasingly, India now. It may be that nations have abundant and valuable natural resources to trade but, if not, then it has to be goods and services that the world want. The ‘rebalancing’ of Western economies since the credit crunch of 2008, after years of living beyond their means, was surely inevitable. Without wishing to get political I simply cannot believe that more borrowing by Western nations and more spending on internal infrastructure projects can produce the return to GDP growth we all seek. If Nations are to invest at all then it needs to be in helping the wealth producers develop and to trade globally. Wealth producing businesses should be massively encouraged and supported through the removal of red tape, investment funding, tax incentives and underwriting some export risk. Often we see the reverse happening – UK universities, for example, have an envied reputation around the world for excellence and are an important generator of wealth and foreign exchange for the country – but we have the government making it more difficult for overseas students to come to the UK through new visa controls. If we really do want our Nations to thrive once again there should be no sector of society more supported, more revered than the wealth producers. – And by the way, I do not believe ownership is important here. In the UK, for example, our motor vehicle industry is no longer British owned. What that has meant is that vast amounts of outside finance has been brought in to modernise and develop the industry and as a result it is now prospering globally- whether it is Jaguar Land Rover or Nissan or Ford or Toyota. They are exporting more than ever and contributing massively to the Nation’s GDP. Now is surely the time for us to be injecting support and confidence. It is time for our governments and our media to be helping grow confidence – rather than, so often, the reverse. I work with and meet many, many business leaders throughout the UK and Europe and, quite truthfully, the vast majority are doing well and seeing sustained profitable growth. That is not what most of us would expect to hear from what we see in the media. I was speaking to a journalist the other day who wanted me to comment on the economy and the state of business but when I shared with him the business success I am seeing and optimism for the future he simply did not want to know. He was preconditioned for bad news – and that was all he wanted to hear. PLEASE let’s start shouting about all the good stuff that is happening, and have the confidence get behind our vital wealth producing organisations. 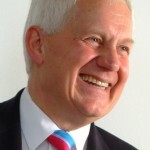 Roger Harrop FPSA is an International Speaker who inspires and entertains his audiences with his acclaimed Staying in the Helicopter® series. Over 10000 CEOs. business owners, Managers and others have achieved transformational change through his thought provoking and entertaining speeches and workshops laced with real-life stories, anecdotes and humour. He is a former CEO of a highly successful high tech multi-national publicly quoted company, consultant, author, mentor and leadership tutor. 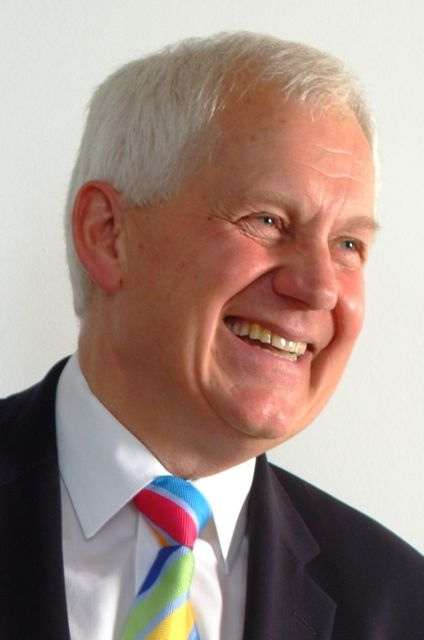 He is Past President of the Professional Speakers Association, a Chartered Engineer and a Liveryman with The Worshipful Company of Marketors.